Kai Kanani is Maui's finest sailing catamaran, offering Molokini snorkel excursions, sunset cocktail cruises, whale watching adventures & private charters. 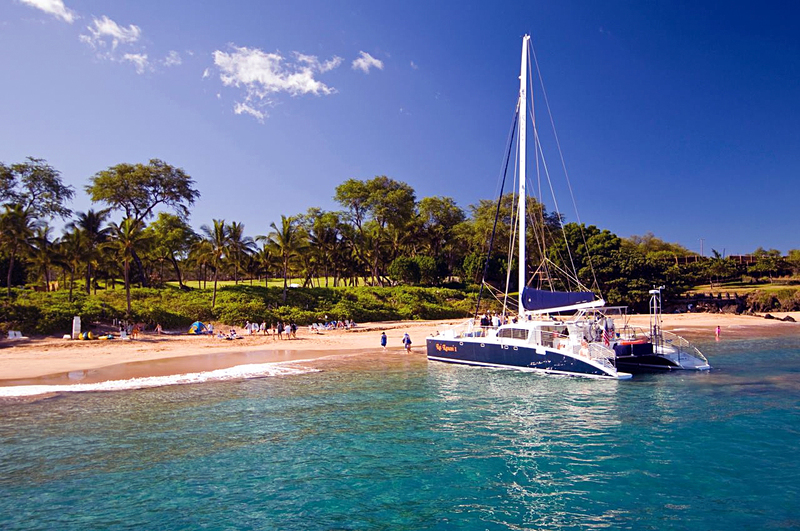 Kai Kanani is a 65' luxury sailing catamaran that launches from the beach in front of the Makena Beach & Golf Resort (formerly the Maui Prince Hotel) in South Maui. New in 2007, this vessel is custom-designed for Maui waters, and the comfort and pleasure of our valued guests! Offering daily snorkeling and sailing excursions to world-famous Molokini crater, whale watching (in season), and a beautiful sunset cocktail cruise on Mondays, Wednesdays and Fridays. Come play with us!